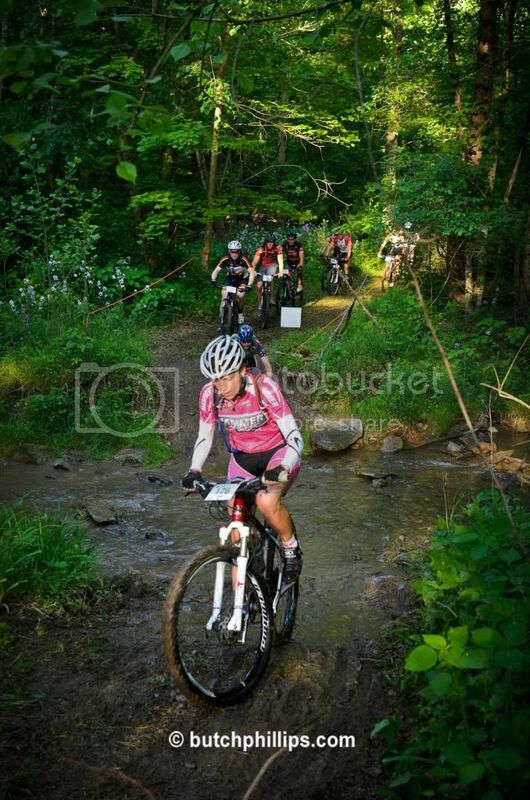 The choice to race the Mohican 100 mile mountain bike race was an not easy one. It fell on the same weekend as Dirty Kanza, a geographically much closer event promising similar self-destruction. But seeing as I'd already gawked once at the beauty of the Flint Hills, and had never raced my bike in Ohio, I chose to make the trip out to Loudonville with Dwayne, Peat, and Adam of Team Noah Foundation. We loaded up the new-to-me Subaru with 4 bikes (thanks to Strove Frodeman for last-minute borrowing of roof trays) and the rest of our gear and hit the road very early on Friday morning. The trip east was pretty relaxed, we knew we were good on time so made some longer stops at lunchtime looking for a mom-and-pop sandwich shop (no dice, we had to go to Panera) and a few extra pee breaks. 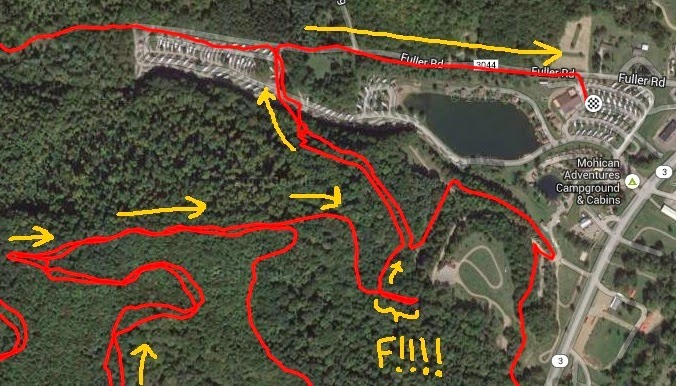 We finally rolled into Mohican Adventures campground (Race HQ and Finish Line) and learned that our camping spots were PREEEM-OHHH. I mean, less than 100 meters away from check-in, the bathrooms, the showers, the finish line, the food tent, and most importantly, the beer truck. We were in the heart of it all! 4 bikes, 3 dudes, 1 Subaru, and me. After checking in, the first priority was a pre-ride. I was super excited since due to travel logistics I've never been able to pre-ride an NUE course. The four of us kitted up and just as we were about to hit the trails, we were bombarded by friends: Tom from dirtwire.tv and Dan and Ryan from Toasted Head Racing. Team Noah is known for riding fast, but for also talking a lot so we had to catch up with them a little bit before hitting the super-sweet trails. Once we were on the singletrack, I was so glad to get a pre-ride in. Conditions were great and the trails had lots of roots that I needed to remind myself to be aggressive going over them. Dwayne tried to get us lost but we eventually figured it out, meanwhile we played The Repeater and No-Hands games, did some fake openers (fopeners?) in the parking lot, then spun over to Loudonville to check out the start line and opening hill. We rode right past a big party at race sponsor Kim's Bikes, and had to stop to eat free pasta and beer (and for Peat to show off his impressive shotgunning skillz). Then we rode back to Mohican Adventures and met up with Trevor and Rafal who had arrived from Iowa and Nebraska (respectively, but in the same car), and had dinner with Toasted Head at Trail's End. It was dark when we got back to camp but I took some time getting my drop bags sorted before heading to bed. Peat, Dwayne, me on the pre-ride. Race morning starts with early bird Trevor's alarm going off and the rest of the crew gradually getting up-and-at-'em. Everyone pretty much has their own routine and Adam and I ride over to the start line in downtown Loudonville together. I find a spot about mid-pack, and say hi to Simona, my friend rom Cohutta 100. I scan the crowd as race director Ryan makes final announcements, and am surprised to see a Momentum kit - turns out another St. Louis rider has made the trip to Ohio, it's Roggo! He is a super strong racer and will probably surprise a lot of folks out there today. Ryan counts us down and then it's time to race! We're off! My main goal for the road opener/separator is to just stay out of trouble. Last year there was a big crash and I don't want any part of that. So I just pedal by way past Kim's Bikes, up the stair-steppy hill, onto some rolling country roads, and then into the doubletrack that will connect us with the Mohican singletrack. There are people all around me, but everyone's behaving themselves, even at the parts where the doubletrack is crazy muddy and we have to run around it. There is really no drama here, and that's just the way I like to start out my hundos. Rafal, sounds like waffle, riding some roots. And then we're into the singletrack! It's just really, really fun. There are people everywhere, but for the most part everyone's keeping their egos in check and when they make a mistake, they get out of the way. I make my own share of mistakes too, and just try not to screw anyone else up with re-mounting. There are a couple of bottlenecks too, but again, just gotta go with the flow on these things, we're all in for a long day and might as well use the (short) waiting time to get an extra sip of water or extra snack. There are volunteers at every road crossing, stopping traffic for us which is super awesome. I don't need anything at Aid Station #1 (Mohican MTB Trailhead) but I stop anyway to check my rear tire - it's been feeling phantomly squishy on a few of the rocks. I stop/unclip and 2 seconds later a volunteer is there asking if I need a mechanic. What service! I give my rear tire a couple squeezes, reassuring myself that it's fine, say thanks but no thanks to the volunteer, and boogie on out of there. Peat, shredding the horse trails. 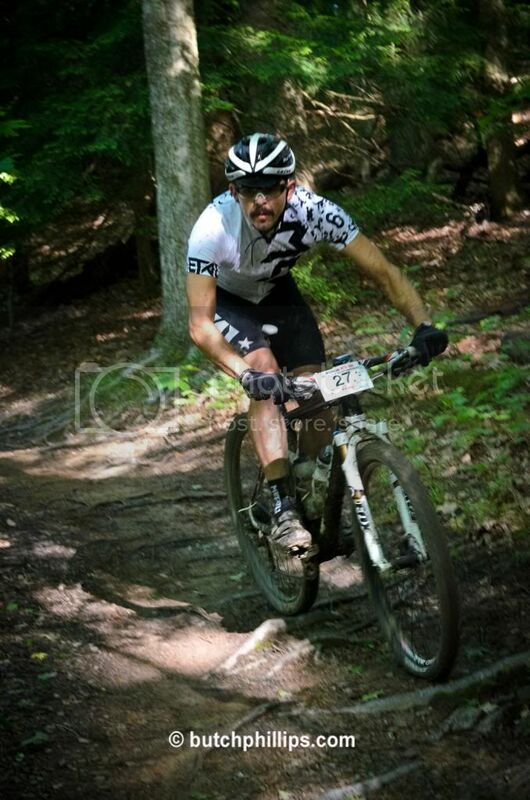 After zipping through Aid Station #1, there is even more Mohican singletrack to be shredded! There are a couple of rather gnarly spots where knowing the line would have really helped me, and I'm off my bike as a gap forms to the group in front. There's one rider ahead, so I catch up to him, he introduces himself as Glen, he's local, and he tells me there's a huge hike-a-bike coming up in less than 1 mile so there is no reason to burn extra matches now. I am very grateful for his advice and just follow his lines. Pretty soon, sure enough, there is a sharp left hand turn straight up a gasline hike-a-bike. It's packed with racers so I just take my spot in line and push. With my adventure racing background, I really don't mind hike-a-bikes at all, so pretty soon I'm at the top and following Glen again. We are on a horse trail now that's sloppy muddy and Glen tells me about the water bars coming up - they are the real deal and we need to be careful. Also good to know! Thanks, Glen! The water bars are definitely difficult to begin with, and especially now that they've acquired a thin coating of slimey mud from the front of the field. I ride some, I walk some, but I make it to the bottom of the hill in one piece and then it's onto the gravel. Almost immediately, I spot a very familiar-looking pink kit in front of me. Could it be Simona, my friend from Cohutta? I know she is a great technical rider and I would be thrilled if I'm this close to her after Mohican singletrack. I pedal faster. It IS Simona! 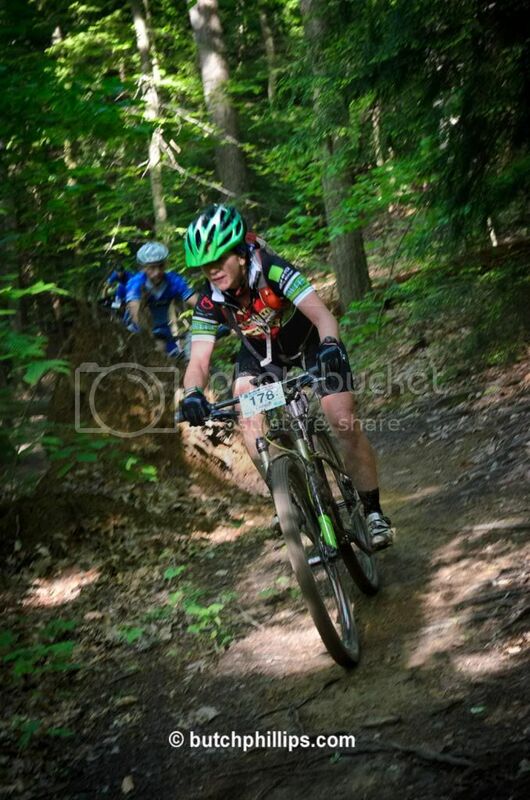 I catch her wheel in the final meters before Aid Station #2 (Buckhaven). We say hi and both execute a pretty fast pit stop. I make a snap decision to keep my CamelBak on, add 2 CR bottles to the SegSlayer, some more food to my bento, and I'm off! Simona aka pink Hammer girl! I'm just slightly behind Simona as we roll out of Aid Station #2 (Buckhaven). From here, we have a longish section of gravel roads which, based on my experience at Cohutta, I know I can ride well. I've almost caught back up when we hang left onto Giffen Road, and the gravel points sharply upward. I stand and, oh no! I feel the beginning tingles of leg cramps. This is abnormal for me, usually I'm a cramp-free rider, but evidently I've got issues today. To me, cramps require on a "pay a penny now to save a dollar later" approach, so I stop, drink a huge gulp of water, and dig out 3 e-caps from my bento. Then I get back on the SegSlayer and focus on spinning easily for the next mile or so. My legs seem much happier and that means I am too. Elevation profile of the course with Aid Stations shown. So I start reeling Simona back in. I am by myself, dealing with the surprisingly swirly winds in the Mohican valleys, and trying not to get too angry about not having drafting buddies. On the longer straight-aways I catch glimpses of what I believe to be Simona's pink kit, and I am riding really hard to catch up. Around mile 45 we enter some freshie-fresh singletrack in the Tree Frog Zipline Park. This stuff is way slower than the Mohican singletrack and it's hard to stay motivated, except I catch Simona on a short hike-a-bike and do my best to stay in front. We roll that way into Aid Station #3 (Mohican Cabins), and with her only seconds behind me, I rush through the aid and hurry back out onto the course. But there's nothing left to do but pedal, so I slowly make my way uphill. There isn't even any other rider around me that I could maybe bum a bar off of. I'm actively looking for discarded gels/bottles/anything as the trail continues to climb. I'm also thinking that Simona is going to catch me any second! And then, at the top of the hill, I hear voices. There are people up here! And...they are standing behind a table. WITH FOOD ON IT. Is this a mirage? No, it's a secret aid station that I didn't know about! I literally freak out with happiness, pull the SegSlayer right up to the table, and start dumping little cups of Peanut M&Ms and pretzels straight into my bento while simultaneously stuffing my face with PB&J sandwiches. It's not a pretty sight, but I am just so happy. I thank the volunteers profusely, stuff a few extra PB&Js in my bento, and get out of there in a superior state of mind. There is a little bit more trail to shred, then some gravel, then the course brings us to the infamous rails-to-trails section - about 10 miles of wide, pea-graveled, false-flat trail. Most mountain bikers, especially my singlespeedy teammates, dread these miles. But today I am really thankful for them - the false-flat terrain helps me refocus and restart my motor. Mohican country is famous for its Amish population and I pass a man driving a horse-drawn cart. We exchange smiles and I say hi to his horse, which helps me "conjure up a sense of gratitude" for this perfect day, my awesome bike, and the ability to ride it 100 miles for Team Noah Foundation. I roll into Aid Station #4 (Glenmont) with my motivation on the upswing. 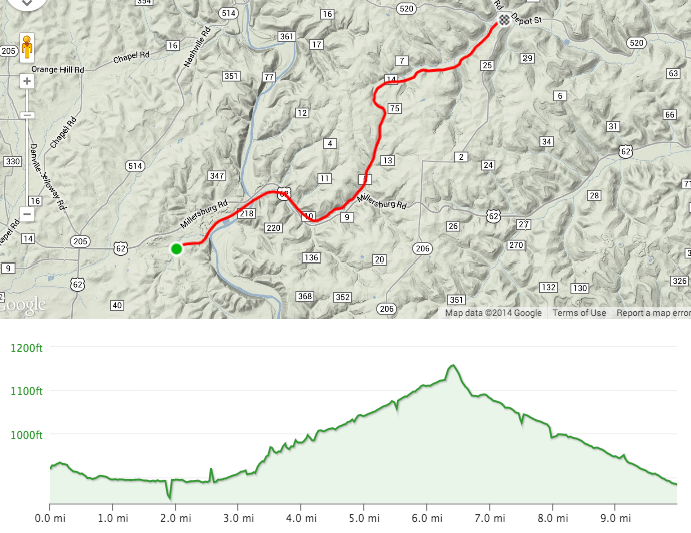 Final 25 miles of Mohican 100 course. A volunteer brings me my drop bag and it's FULL of delicious things - CR333, a turkey sandwich, a Clif bar, and some gels. REJOICE! I reload my bottles and bento and notice that green girl and guy are just leaving. Wow, they're closer than I thought! And just as I'm about to leave, Simona rolls in! We congratulate each other on a good ride so far "You're killing it!" "No, you're killing it!" and then roll out together to tackle the final 25 miles. At first we just chat and reveal that we both had goals to finish under 10 hours, and agree that it's probably not going to happen today. We keep chatting until the first of several sawtooth climbs, where Simona just rides away from me and I don't have the motivation to respond. I don't know why, but I just can't convince my legs to work harder. This bums me out and I pedal solo in full-blown pity party mode. A few miles later, I unintentionally swerve across the doubletrack and hear a rider exclaim in surprise. I hurriedly apologize for taking their line, and in response I hear "Are you Emily?". I say yes, and turns out the rider is Mindy! She's a triathlete/adventure racer from Team Tecnu whom I've competed against only a handful of times, but enough to know that she is seriously fast. I've spent the whole race convinced she was way ahead of me, so I'm surprised to see her now. But turns out she's recovering from some hard training the weekend previous, and a hard crash in the first 10 miles today. Ouch! We chat a little bit about the race so far, and then Mindy rides away. That makes TWO girls making me eat their dust in the past 5 miles. Something snaps in my mind. I can't take it. Full-on racer mode comes roaring back, I add a couple gears, and chase. I am able to pass Mindy on some slippery slimey doubletrack that's peppered with short hike-a-bikes. Not too much farther the trail opens up into gravel and I pass Simona. Then just a few minutes later I pass green girl and guy at the top of a grunty hill. I don't have hardly any gap though so it's pedal-to-the-metal all the way home. I pass some 100k riders, some other 100 mile riders, and one guy jumps on my wheel just as we're approaching Highway 3. I explain the situation ("there's three women back there and I've got to gooooooo!") and he takes the time to talk me through the remaining course, including the cloverleaf turn under Hwy 3, the ride through Aid Station #5, and then into the singletrack. This is the second time that a local has helped me out - thank you!! There is no way I can afford a stop at AS#5, but I don't need anything anyway, so I whoop it up for the Kim's Bikes volunteers and cruise into the remaining miles of Mohican singletrack, certain that Mindy, Simona, and green girl are just seconds behind me. There's a rider on my wheel as I enter the singletrack, but I'm relieved to hear the voice is distinctly male as I ask if they want to pass. They do not, so I continue riding until I glance back on a hairpin turn and see that the rider is my teammate Adam! I had no idea! But no time for chit-chat when I'm trying to redline the rest of the course. There are plenty of little tech sections left and I do my best to ride when I can and run when I can't. There are riders to pass too but everyone's super courteous. I can see, through, that Simona is inching closer to me in the singletrack. I feverishly ramp up my pace, doing my best to keep riding smoothly. My legs respond, and my mind is thrilled to see a "2 Miles To Go" sign. I think I can hold her off! Then there is a tandem mountain bike up ahead and I can only laugh. I'm barely leading a group of 4 women, less than 2 miles to go, and I have to pass a tandem in the singletrack? Good one, Noah. But we find a spot that works for all of us and I motor on by. I've picked up another single speeder (in a Toasted Head kit!!) and he squeaks by the tandem, too, and starts cheering me on. Awesome! The two of us bomb down a hill into the campground. We've GOT to be close now. Except there are cars driving in the campground so I move to the right to let them by. In the process, I lose sight of the course markings, and all of a sudden find myself in no-man's land - an unmarked intersection. What? Where do I turn? Panic! I sit up, glance around, and hear a race spectator yelling at me: "You missed the turn! It's back there! Turn around and go right!" F!!!! I turn around and see Simona making the correct turn just a few hundred meters behind me. Me and the Toasted Head rider are super bummed, but he yells "Let's go get her!" so we take off in pursuit, making the correct turn and re-joining the course. There can't be much left before the finish line so I chase HARD after Simona. I have to pass the tandem AGAIN but the graciously let me by. There's a downhill, the metal bridge crossing, then a hard right onto the finishing road. I can see Simona just a few seconds ahead, and Toasted Head guy yells at me "You can do it!" I sprint. I tell myself I'm closing the gap. But, it's too much. Simona makes the final right turn 3 seconds ahead of me and we both ride under the finish line, done for the day. Dead to the world. Photo by Trevor Rockwell. Ha ha. I can't believe it. I'm really, really angry at the situation so I immediately ride to our campsite and collapse, ignoring everyone around me so I don't say or do something embarrassing. I just need to cool off a bit before good sportsmanship can re-emerge. So I lay there and moan while teammates take pictures. Ha! One of the race volunteers has followed me from the finish line and sets the Mohican Finisher's Growler down next to me, along with a cup of ice water. She definitely didn't have to do that, and her kind gesture clicks me back into non-angry mode. I stand up and go find Simona to congratulate her on an excellent finish. It really was excellent - it wasn't her fault that the course markings were obscured by traffic, and I would have done the same thing if I had been in her shoes. AND it turns out we BOTH made it in under 10 hours. VICTORY! The rest of the evening is superb. Mohican knows how to treat its racers right: the showers are hot, the food is plentiful, and so is the beer! 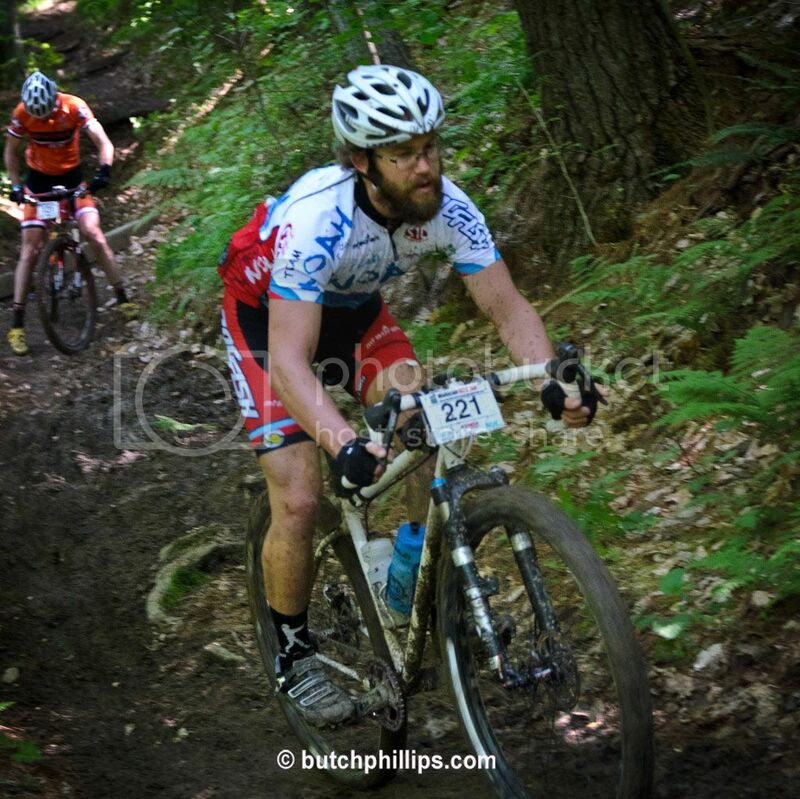 I catch up with the rest of my teammates (Trevor, 3rd place singlespeed! Dwayne, 7th place singlespeed! Peat and Adam, sub-10 hours!) and meet some more friends as we wait for the podium presentations. 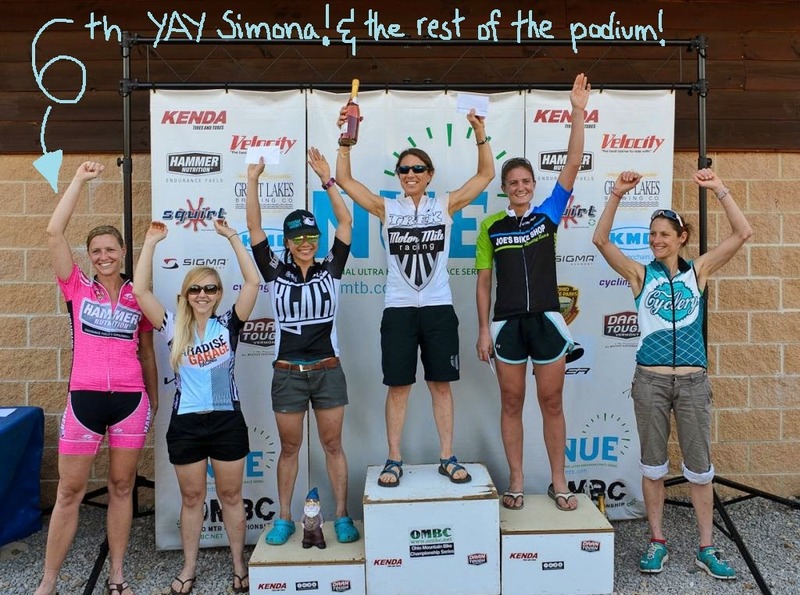 Turns out my battle with Simona, Mindy, and green girl was for 6th place, and Simona gets to represent on the podium! Whoop! Congrats to Brenda on a fantastic win and the rest of the women's podium for crushing it! Let's be honest, Mohican 100 is a pretty awesome way to spend the day. I will definitely be back next year! We missed you in Kansas, but it sounds like this was a great alternative for you. I wish I could channel your competitive spirit, because the last 50 miles of my race, when woman after woman passed me, all I cared about was getting to the end rather than holding people off or catching back up. Anyway, looking forward to seeing you in WI at the end of the month! This is so random. I was googling images from Mohican 100 and the podium pic you took of me and the rest of the podium (very funny) come up ...... So I read your blog and loved the race recap and then read the one from Cohutta and loved it too. Missed you at Lampberjack! Mohican was a fun and a definitely challenging race. And you pushed me to ride stronger and faster at many times. When we past the AS 5 to go into the last 4 miles of single track and I knew I can make it to the finish line in my set goal of 10 hrs and then I saw you in short distance ahead of me (and thought I can kill two flies with one smash - we don't kill birds with stones in Czech.. ha ha) so I downshifted, stood up and 'hammered' to catch up to you. When I saw you miss the turn, I hesitated for couple of seconds but took that change and went with it. I still have mix feelings about it. Grabbing the last podium spot was bitter sweet for me. Good Bey Noah Girl until we race again. SIMONA!!!!!!! HI!!!!!!!! no hard feelings AT ALL on the finish. not your fault about the race markings and you were riding so fast on that last singletrack. way to crush it! you earned that podium! i was sad to miss out on Lumberjack too but had a different race to attend. im not sure what my next NUE race will be but i hope you're there too! woohoo!